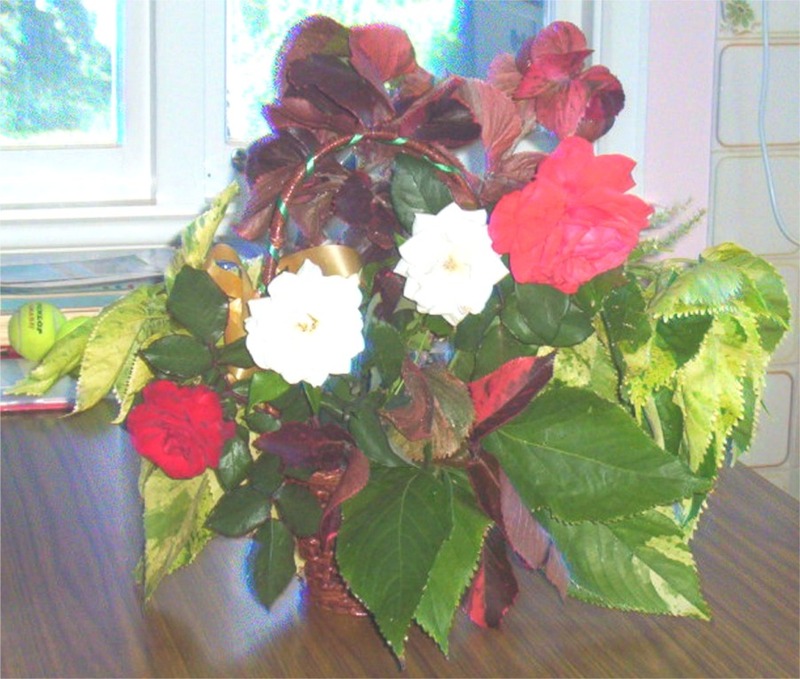 Here is a beautiful arrangement of Roses and Leaves from our Son’s garden ready to take to Church. It is lovely when you can pick flowers and leaves from out of the garden and make a colourful display with them. Sometimes there may not be many flowers growing in your garden but if you fill the pot or put them in the oasis to make an arrangement it is surprising what difference the coloured leaves make with just a few flowers. I think there were only four Roses in the above photo and the rest were beautiful leaves, plus a gold ribbon tucked in with the basket of Flowers. As Christians we can take heart and believe the above verse that Jesus really did walk on this Planet Earth and has returned to His Heavenly Home to wait for us. This entry was posted in Uncategorized and tagged Basket of Flowers, Flowers & Leaves, Glorious day, God, Jesus, Poem. Bookmark the permalink.